This was an awkward sloping site that had become overgrown. 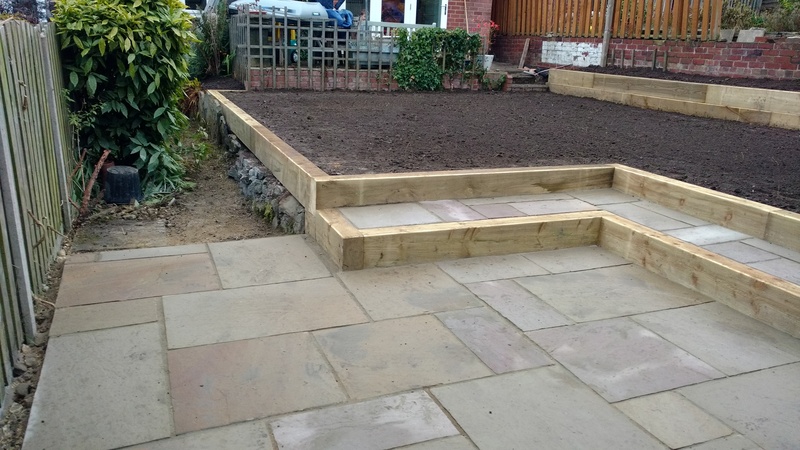 The clients wanted to make the unused overgrown lower area of the garden into a usable space, possibly with seating area.To remove heavy overgrowth and leave space for a manageable area of planting. 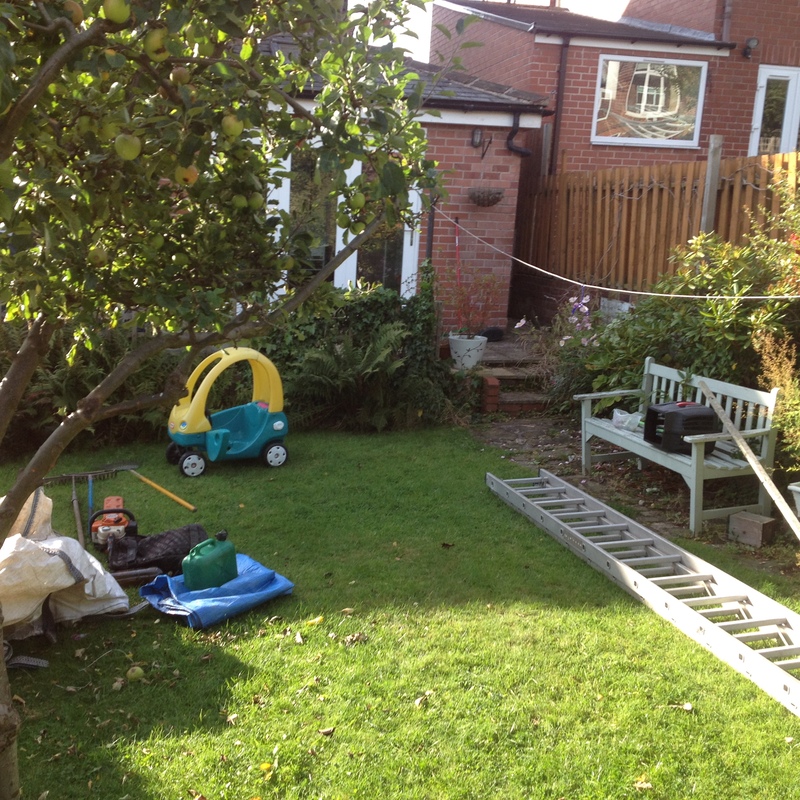 To lay a new lawn and create a hard standing for a children’s wendy house. 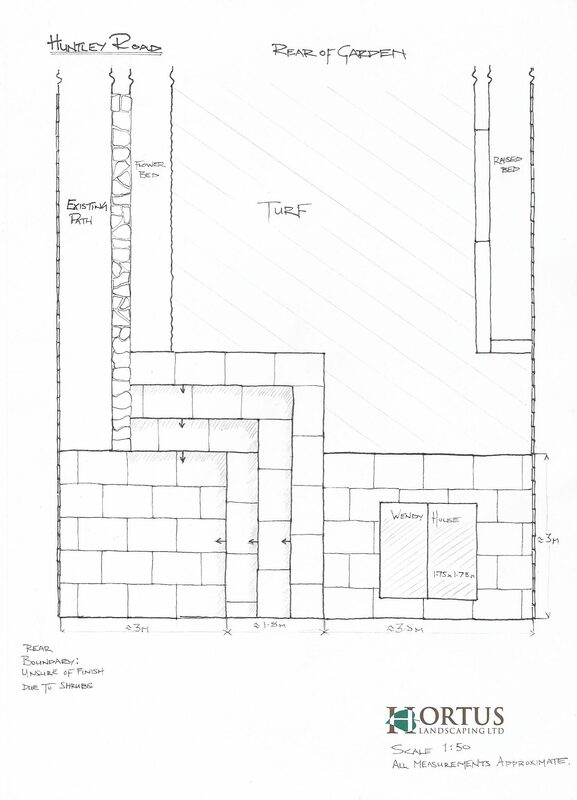 To lay a patio close to the house. The plan was to first remove overgrown planting and create tiered steps down to the lower part of the garden and lay a patio. 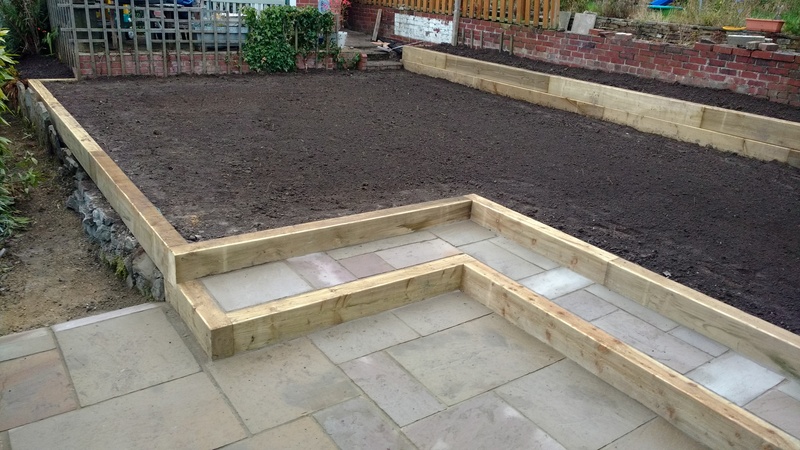 To lay a new level lawn and to the left of the lawn build a raised bed for planting. 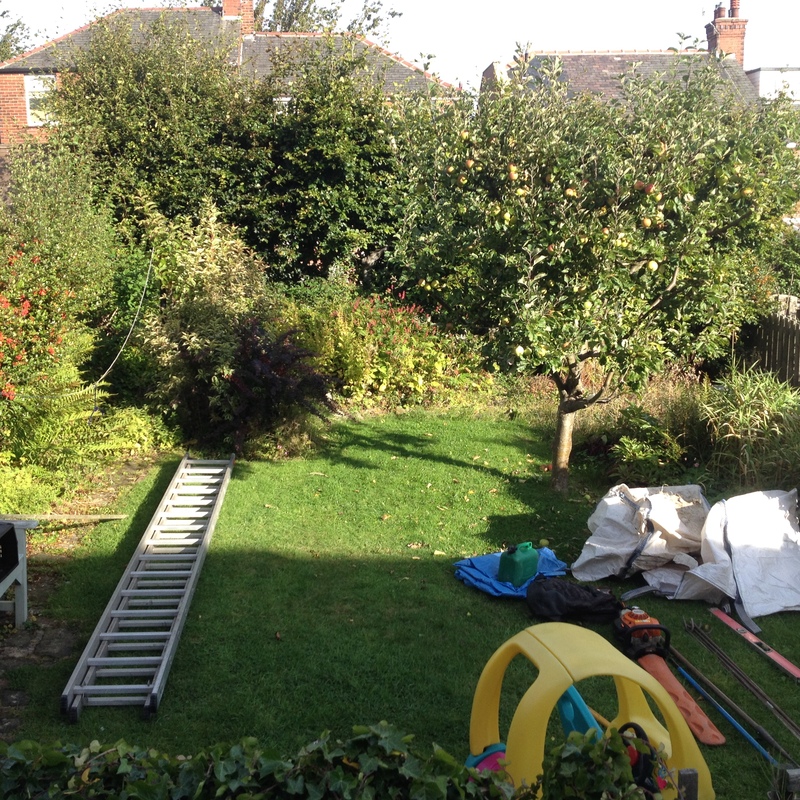 At the back of the garden above the patio to lay a small hardstanding for a wendy house. 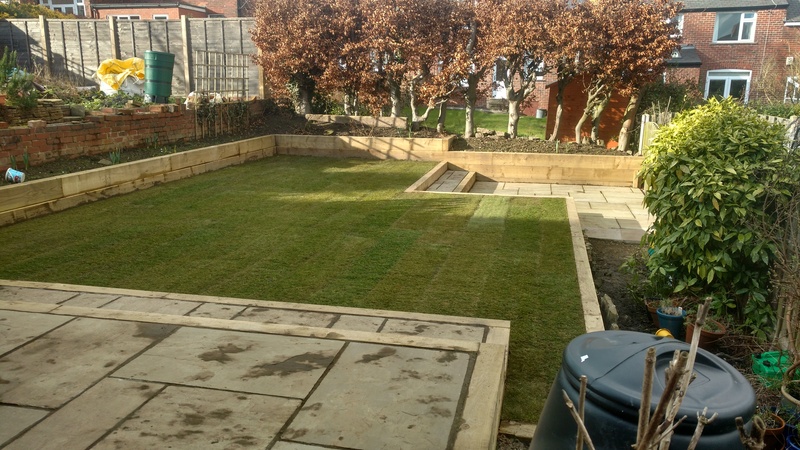 The clients later changed their minds regarding the wendy house and instead wanted more lawn area for children to play on which meant the raised bed could be extended to the full length of the garden. 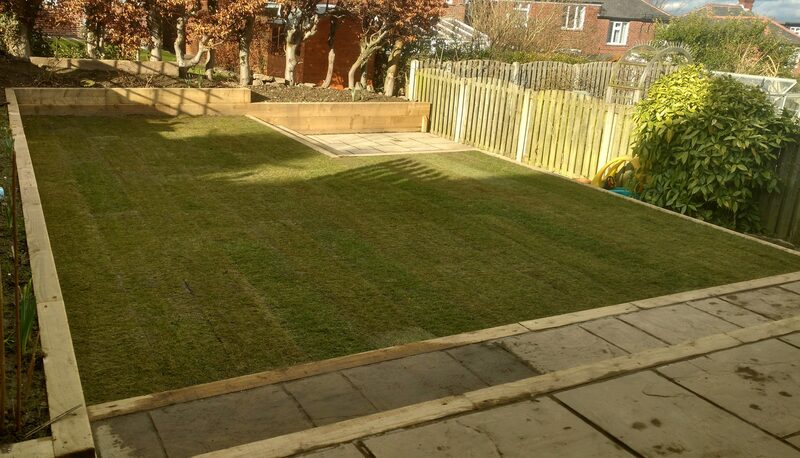 The clients also opted not to have the bed on the right of the lawn as it reduced the area to play on. The sunken patio looking back to the house. Patio at the rear of the house is as yet incomplete. The tiered steps leading to the patio. We managed to level the lawn and only needed two steps down. 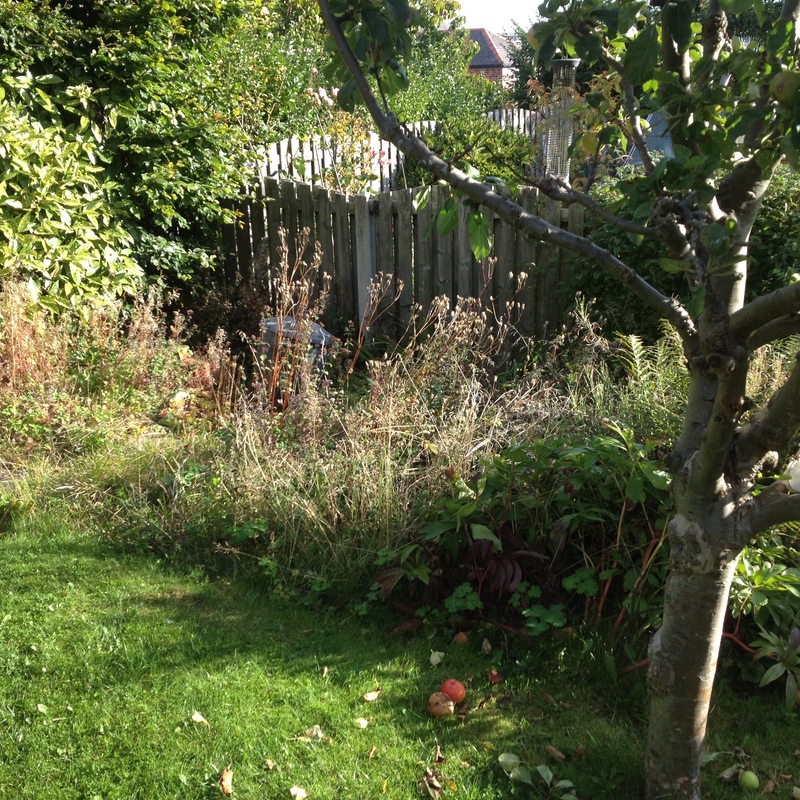 The finished lawn and the lower area cleared and useable.